Cast: R. Madhavan, Kangana Ranaut, Jimmy Shergill, Swara Bhaskar, Deepak Dobriyal, Eijaz Khan, Mohammed Zeeshan Ayyub etc. 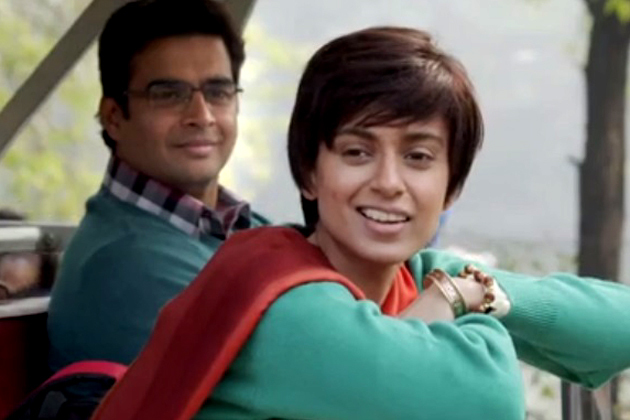 Tanu Weds Manu Returns, sequel of movie Tanu Weds Manu which was released in the year 2011. The first part was highly applauded by the audience and the second part is one up of that. Tanu Weds Manu Returns is getting double benefit, one because of its prequel’s success and second is the super positive reviews from critics. There is no doubt, that now movie will also get the third benefit i.e. audience highly positive response. The best thing of the movie is acting by its cast; the performance is mind blowing. Kangana Ranaut (Tanu / Datto) & Deepak Dobriyal (Pappi) are superb and the reasons to make you laugh all the time. Rest all; each and everyone are also very good in their characters. Second best thing is its music, having peppy songs “Banno tera Swagger” “Ghani Baawali Hogayi” etc. and one love song “Mat Ja Re” are capable of make your eyes in still position meanwhile. Direction of the movie is excellent, that is easily visible with the acting performance of casts. Editing is also very good, especially in beginning; the introduction part gives a feel like in real we are watching video of anyone’s marriage. Story of the movie is normal, as we already seen in many movies. We can’t say it as a remember-able story, but we also can’t say it as poor; it is just normal. Not required any comment or alteration, as it is the sequel so this is the only story which can be set as logical with its prequel. Movie starts with ending of its prequel i.e. the wedding of Tanu (Kangana Ranaut) & Manu (R. Madhvan). After marriage they shifted to London, till one year everything goes normal but later on they started loosing interest in each other. After 4 years, they finally come to an end of their marriage life. Tanu left Manu in London & come back to Kanpur and again started living like a wild careless girl; same as she lived before her marriage. Manu also come back to Delhi, where he met with Kusum (Kangana’s second role), a Haryanvi athlete girl who looks like Tanu but with short hairs. Because of same face and pain that Tanu gave to him, Manu started loving Kusum and also decided to marry with her. After knowing this, Tanu gets hurt and realize her love for Manu. Then she tries to stop their marriage and wants Manu to be back in her life. In all this Payal (Swara Bhaskar), Jassi (Eijaz Khan), Raja Awasthi (Jimmy Shergill), Pappi (Deepak Dobriyal) etc. supports her. Later on Manu also realized his love for Tanu but still marrying for the sake of Kusum. Then Kusum also realised their love and declined to marry with Manu. In last, everything gets fixed to its actual position and the movie ended with a happy climax. 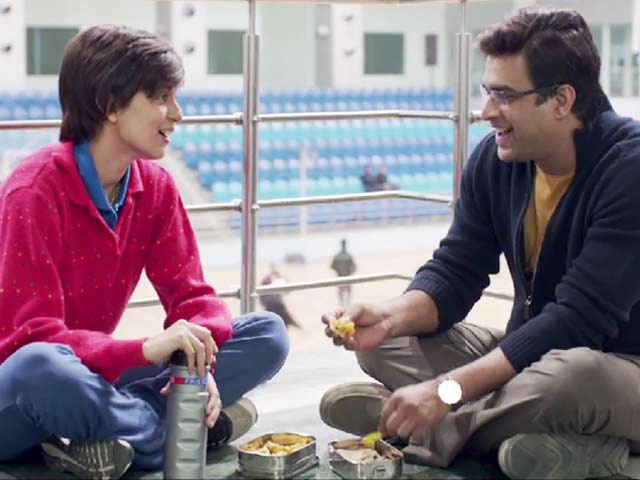 We must say Tanu Weds Manu Returns is a sure shot hit; do not miss such entertaining movie. Just go and watch the movie to spend some happy time. Believe us, it will be very hard for you to stop giggling while watching the movie. Why to watch: To enjoy, to refresh, to laugh; simply to watch a good movie. Why not to watch: There is no reason to stop you for watching the movie, except you are not in a mood to go out. Fault(s): A very negligible one- In the movie Tanu & Kusum are two different girls, but due to Kangana’s black mole near jaw-line both are looking as one; which could be hide with makeup to show them as two different people. This thing creates a little confusion in audience mind.